We have been talking a lot about the GeForce GTX 1060 lately but we somehow forget the fact that this video card will be in stores only on July 19. So now is the time to prepare models, which will tempt users just a few days from now and Colorful is, apparently, not wasting its time. 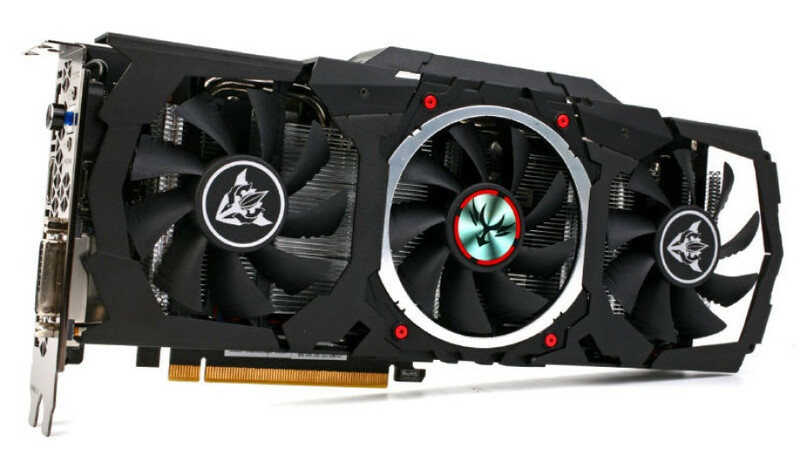 This video card maker has prepared no less than four new GeForce GTX 1060 video cards. They will all be based on the GP106 GPU and will carry the rather long and hard to remember Colorful iGameGTX1060 X-TOP-6G, iGameGTX1060 S-TOP-6G, iGameGTX1060 U-TOP-6G and iGameGTX1060 U-6G product names. All these cards will come with PCBs that have been designed by Colorful and that feature enhanced power supply subsystems as well as 6-pin power connectors. In addition all the models listed here will come factory-overclocked and will feature large coolers with three cooling fans. The Colorful iGameGTX1060 X-TOP-6G model will run the GPU at 1620 MHz (1847 MHz Turbo) and will have a 5+2 phase power supply subsystem. The memory seems to work at 7 GHz, although this has to be confirmed. The iGameGTX1060 U-TOP-6G model will have the same power supply subsystem but will run its GPU at 1594 MHz (1809 MHz Turbo). The iGameGTX1060 S-TOP-6G and the iGameGTX1060 U-6G models have 4+1 phase power supply subsystems and operate their GPUs at 1594 MHz (1809 MHz Turbo) and 1556 MHz (1771 MHz Turbo), respectively. All these new Colorful GeForce GTX 1060 video cards will appear on July 19. The prices of these models are unknown as of now.